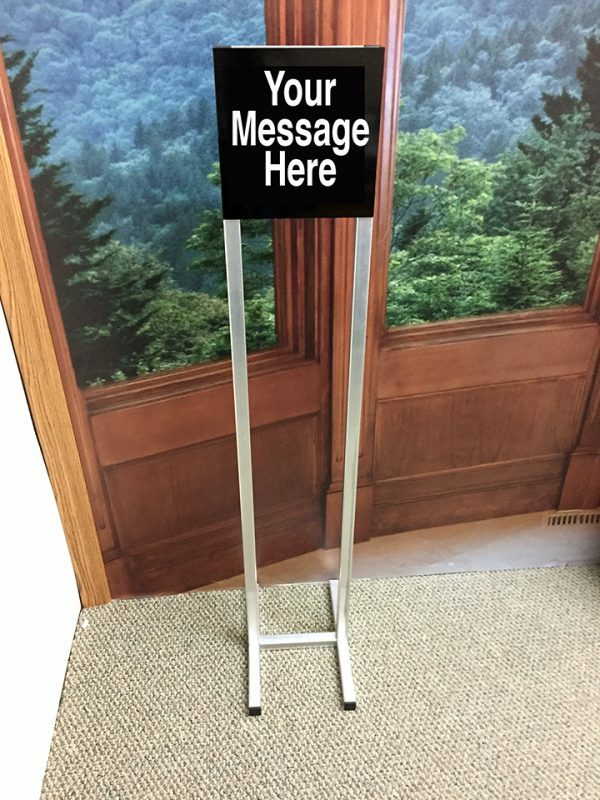 Lightweight aluminum with custom size message area. Can be single or double sided. The sign pictured above is 48 inches tall, with a message area of 9×9 inches. If you want a taller sign, the size of the base will need to be enlarged to maintain appropriate stability.